I have a 3 tiered donut type traction device. 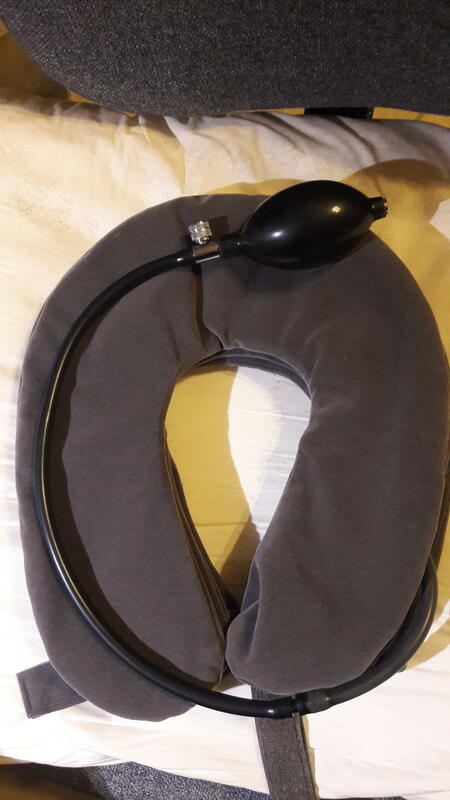 It is a hand/air pump adjustable traction device. Very soft and covered with good material. Does not irritate the neck. It worked great for me opening up C1 and C2 vertebrea. The pain in my shoulders and hands have gone.